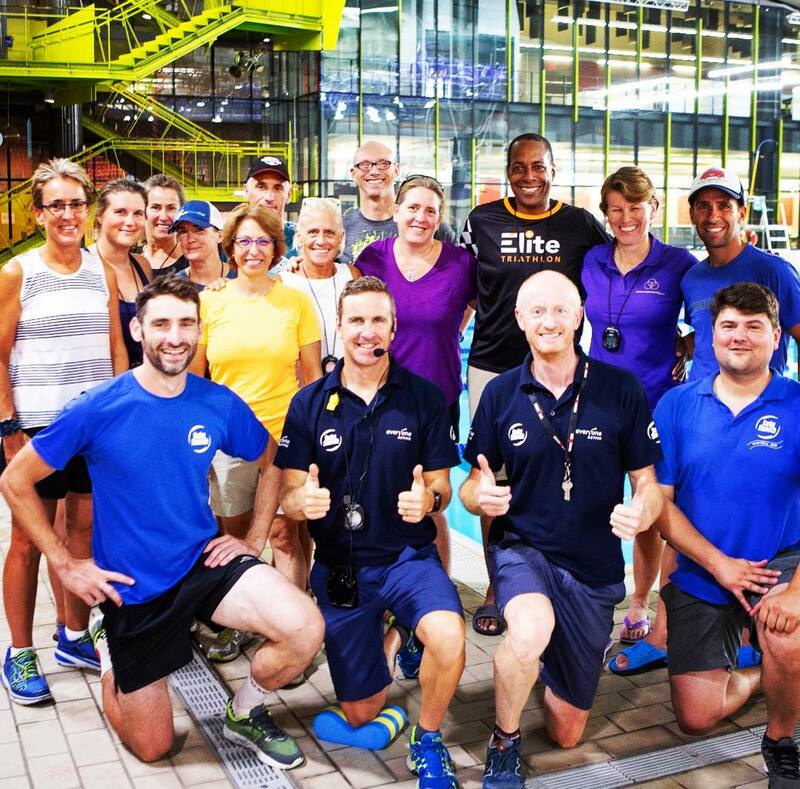 Here at Swim Smooth we are very lucky to be able to travel the globe doing what we love most - working with coaches and swimmers to spread the word about great coaching. The last couple of weeks have been no exception to this as we took the long trip from Australia to visit North America. 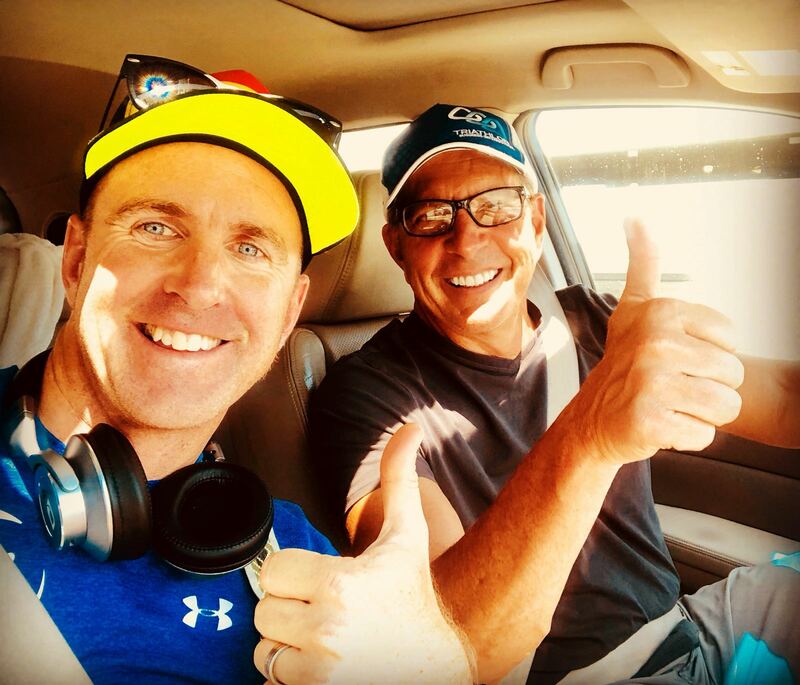 Firstly our Head Coach & Founder Paul Newsome dropped in to visit Gerry Rodrigues and Jim Lubinski in Los Angeles to be interviewed on their famous Tower 26 "Be Race Ready" Podcast, talking everything from stroke technique for swimmers of different heights and builds, through to getting started in coaching and setting up Swim Smooth. Highly recommended listening whether you are a swimmer looking to improve or a budding swim/tri coach just getting started. Paul: Gerry and Jim have a very open and pragmatic approach to coaching - I’ve been liaising over email with Gerry for several years and he’s always been very welcoming towards our coaches when they head over to L.A. His beach sessions are phenomenally popular at Tower 26 but sadly I didn’t get to partake such was the nature of the flying visit en-route to Canada. We plan to stay in touch and the guys have already asked if I’d pop back on the show again sometime soon. Watch this space! All together a fantastic group, taking us to >500 worldwide who have now sat this course. 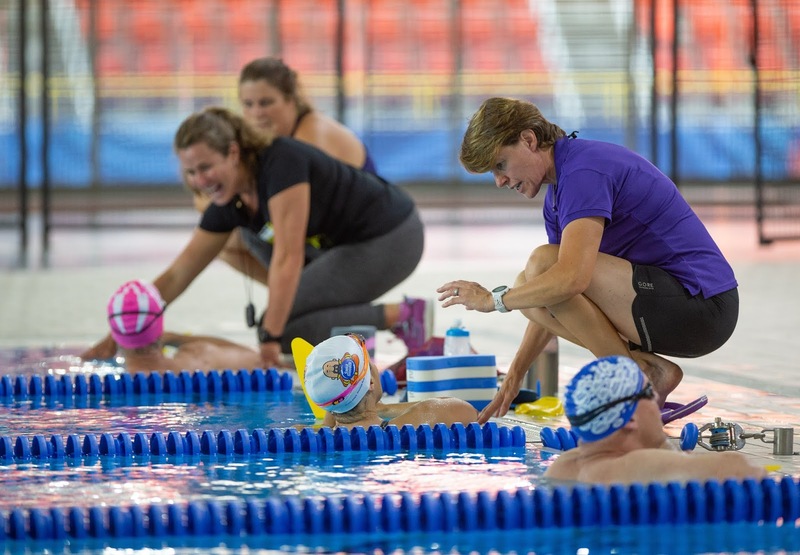 Many of these coaches are interested in selection to become a Swim Smooth coach and could be chosen if they have the right combination of drive, talent and skills. At Swim Smooth we are firm believers that anyone can become a strong swimmer, whether swimming comes easily to you or if it takes you a little longer to get there. Of course it's only natural that if you are frustrated with your lack of swim speed then you may be wishing you were more talented. But have you considered that there is a certain virtue and satisfaction at having to really work at something to get results? We need to recognise that whether you are talented or not, to reach your ultimate potential requires hard work and dedication. That's true of any pursuit whether it's swimming, acting or playing chess. 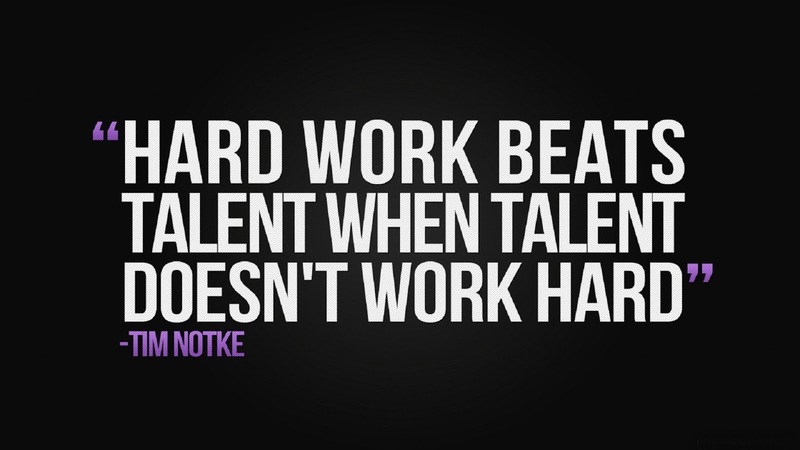 One of the problems of being talented is that you may become better than those around you without much effort at all. So much so that you don't really value the achievement. Easy come, easy go. One of our favourite sporting quotes. As coaches we see this distinction in athletes all the time - oftentimes the most talented swimmers lack motivation. They don't value their time in the water and quit the sport when it all becomes a bit like hard work. Meanwhile the less talented but dedicated athletes enjoy every improvement and embrace the hard work as part of the journey. They value the experience they are gaining as they go and the hard work actually becomes something to be enjoyed for its own sake. These are the people who never retire - they swim or bake or teach for life because they get great satisfaction from it, it actually gets in their soul, part of who they are. They self actualise. There is a certain mindset that develops with consistent hard work - a mental skill if you like, something that will never leave you. Have you noticed that the people who are always talking about how hard they are training are actually the ones struggling with the effort of it all? It's the quiet athletes who just get on with the work that you've got to watch. They are the ones that have developed that mental skill for consistent hard work, truly reach their potential and achieve the ultimate results. We know which athlete we'd rather be. Should You Be Blurring The Lines Between Training And Racing? Sometimes it's good to take a look across different sports and see what we can learn, and if there's a different way of doing things. If you are a distance swimmer or triathlete you might lay out your season with some A races that get you motivated and in which you want your best performance. During the build up you will probably include some B and C races to get yourself "race sharp" and become familiar with the feelings and adrenaline rush of racing again. But fundamentally you train to get fit and then race for results. Swim 8 races in 7 days? A lot of fun and yes you certainly get fit fast! Obviously this works for many swimmers but this way of looking at things isn't universal in sport. In fact in the culture of many endurance sports, athletes use the motivation (and pleasure) of racing to "race themselves fit". In cycling for example many athletes simply ride long base endurance rides in training and then race every weekend (and sometimes midweek too) to develop their top-end speed. These events might be road races, circuit races or a local time-trial series. Of course a race provides you with instant motivation and the competitive environment helps you to really push yourself. You might well find you are fitter than you thought, breaking you out of a psychological rut that you didn't even realise you are in - "I'm just not that fit yet". Low key races normally have a fun social side too and having that comparison against other athletes helps you judge your progress and gives you an awareness of where you are at. You will accrue racing experience much more quickly too - developing vital skills such as your pace judgement and tactical awareness. - You may be used to tapering down to race and feel that you need to do so to race anywhere near your best. Of course you simply can't do that if you are racing frequently, by resting up every week you will lose too much training. Instead you have to get used to the fact you can race with some training fatigue in your system. Interestingly you may well discover you can still perform at a high level without a taper - in fact if you normally (unknowingly) over-taper, you may actually perform better! 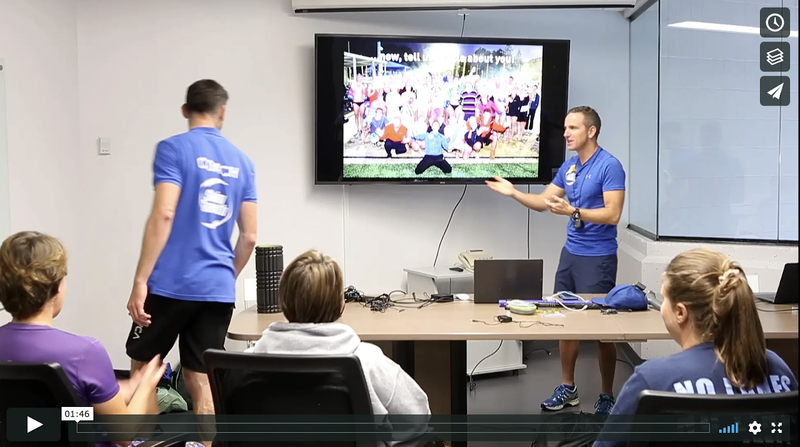 - Over the winter and in the early season you also have to get your head around the fact that you are not going to be in peak fitness and that your performances will not be as fast as they will be for your A race later on. If you are worried what your friends and competitors will think then you need to swallow your pride and get over yourself - nobody cares that much and nor should you. Learn to shrug like Mega Megan Shrug - "whatever" - and get out there and get the benefits of racing! So what are we saying then? Should everyone look to gain fitness through racing frequently as a mainstay of your preparation? Not quite, we would say that it is a perfectly valid way of getting fit, that is a lot of fun and has a lot of advantages. It's going to depend a bit on your situation and if you have regular racing opportunities on your doorstep. But fundamentally don't overlook this route as a possibility, it could be just the shake-up to your preparation you need. 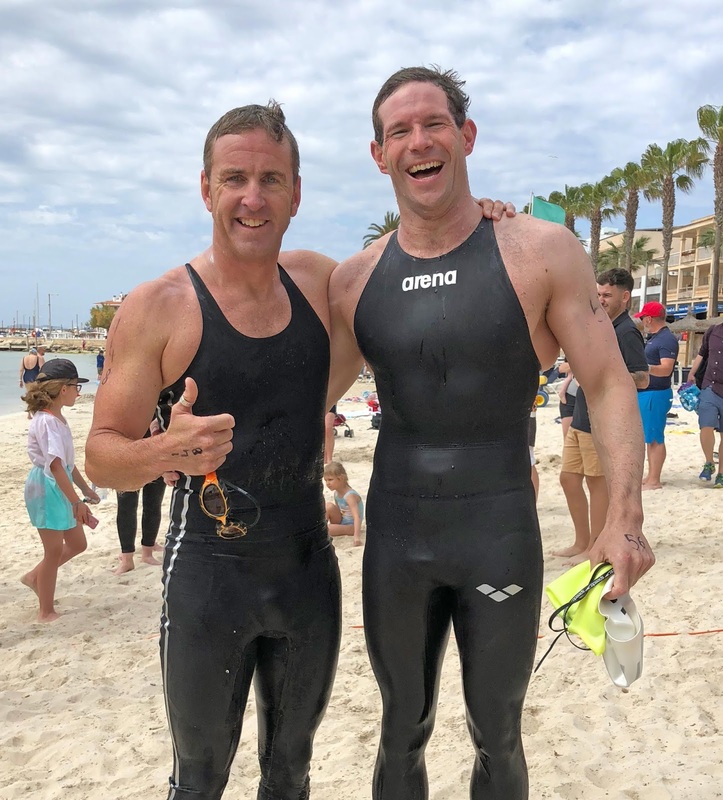 As an example of this race-to-get-fit approach, our head coach Paul Newsome raced the Best Fest Swim Series in Mallorca in May, comprising 8 races in 7 days. 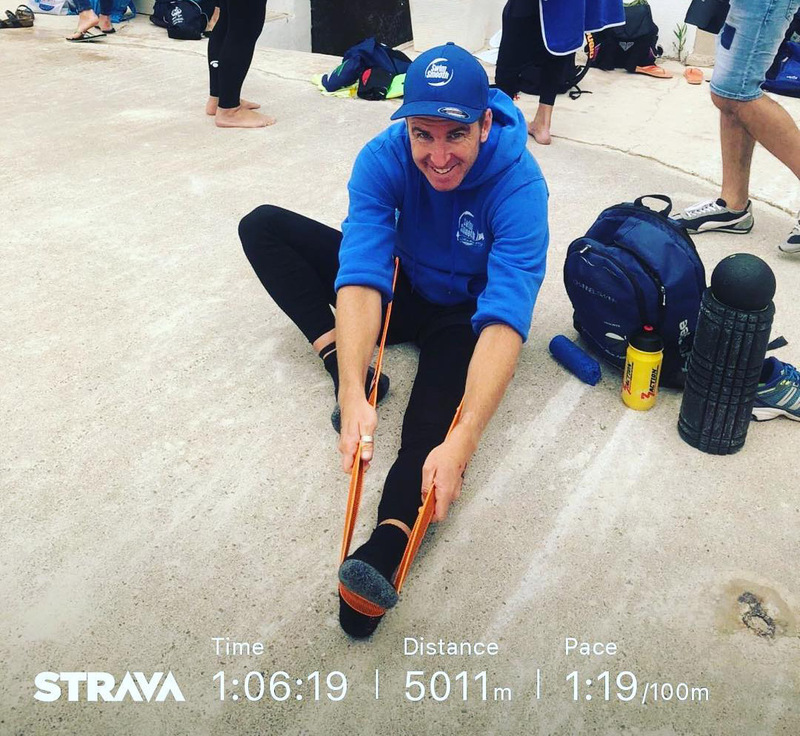 I wasn't at peak swim fitness going into this series but despite a complete lack of tapering and very short recoveries between swims, I swam better and better through the week and managed to win one of the races. It's amazing what you can achieve when your body goes into "race-mode", shrugging off fatigue that would otherwise slow you down in training. I came away from the week absolutely buzzing and raring to get back into my regular training routine in Perth. Don't be afraid to give the race-to-fitness approach a go yourself! The Feel For The Water blog is normally about improving your swimming directly through tips, techniques and advice from Swim Smooth. But sometimes we discover something so uplifting in the world of swimming that we just have to share it with you, and this is one of those times. Julie Isbill is a Swim Smooth squad swimmer in Perth, Australia who started something really special when she was based over in Manly, New South Wales. It's a swimming group called Bold & Beautiful and she's here to tell you about it below. 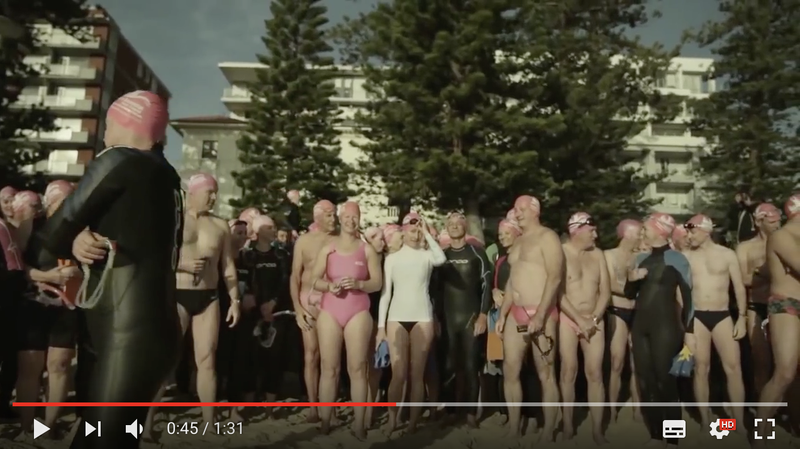 We think Bold & Beautiful is just fantastic and we would love to see more swimming groups like this around the world. Why not get inspired by her initiative and start one yourself??! Bold & Beautiful Swim Squad (B&B) is a free community group in Manly that I started quite accidentally when I offered to take a friend for a swim on Boxing Day, 2008. We committed to meet the following morning at 7am and there were 5 of us that first morning, as my friend had done some ringing around to rally the troops for moral support. Since that day, in nearly 9 and a half years, over 17,000 swimmers have swum with B&B. It's common these days to see around 300 people swimming on any given morning come rain, hail or shine. Collectively B&B have never missed a morning swim since the day we started, thanks to a wonderful team of volunteers who work hard continuously to keep the group running smoothly, 365 days a year for everyone. So, what is it that makes B&B so popular, special and such an important, integral part of so many people's lives? There are many reasons for different people I'm sure, but key to most is the fact that it's regular, available, non-competitive and inclusive. It has obviously filled a niche within the community. It gives people a reason to get up in the morning, social contact and involves them in great exercise with fun and friendly, like-minded people, not to mention swimming in a stunning part of the world, over a no-take aquatic marine reserve. B&B quite literally encompasses people from all walks of life and everyone is equal in their cossies. 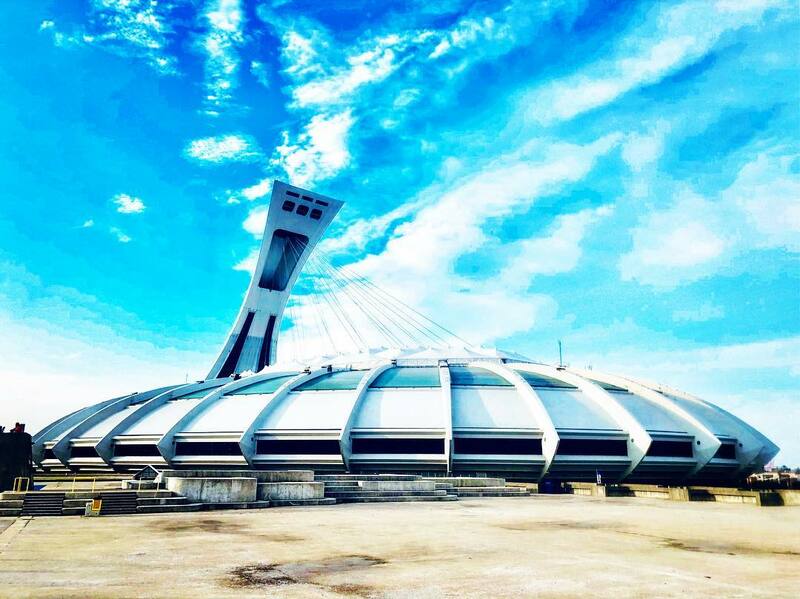 Again, something which is very liberating and beautifully unique. The fact that B&B is so welcoming and inclusive is I’m sure what makes it part of people’s weekly, if not daily ritual, which you can follow on our daily blog or daily attendance website. What makes it so welcoming and inclusive? 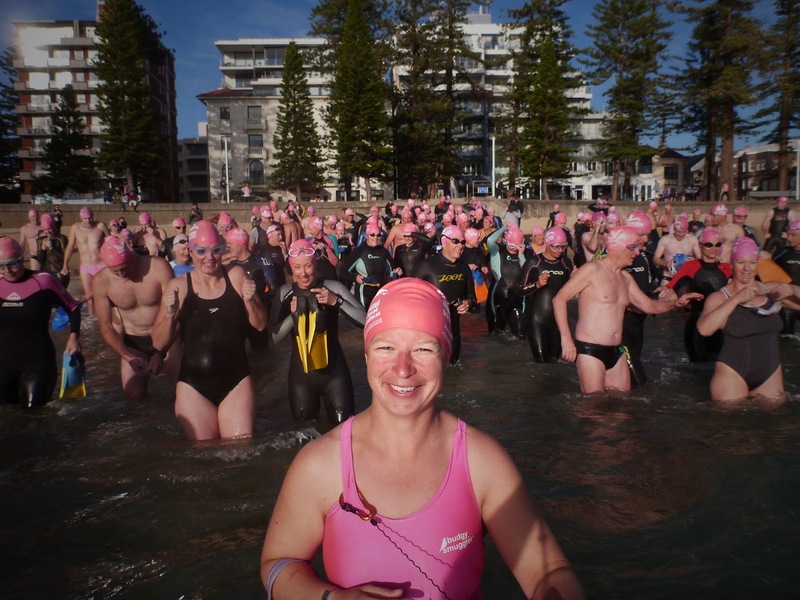 Every swimmer is welcomed by a fellow swimmer, sent an email and given a complementary pink cap courtesy of one of our sponsors, currently Manly Paradise Beachfront Motel and Apartments. When 7am strikes, everyone enters the water together, waits at the point before collectively swimming across to Shelly Beach, where everyone waits again before the return leg, followed by a well-earned après swim coffee together. Later in the morning there's the daily blog to look forward to reading and commenting on, which a different swimmer writes and shares photos from the morning, enabling swimmers to look for themselves or see what they missed out on. All part of the daily addiction. It's these little points, amongst others, which make people feel that they’re part of something special, which they are. 1. No matter how fast B&B has grown or how large it has become, B&B hasn't lost its fundamental ethos; that it is truly an inclusive community activity for everyone and it's not competitive. Even those who can't yet swim the distance can join in, walk along the foreshore and enjoy the après swim activities. 2. So many people work tirelessly behind the scenes as volunteers, ensuring that new swimmers today, receive the same (if not improved) personalised touch that they received when they joined, resulting in B&B being as inclusive for the new swimmers today as it has always been. 3. All the original swimmers that swam on that very first day, 27th Dec 2008, still swim with B&B regularly to this day! The success of B&B is a credit to every swimmer within it. The number of people participating grows every day. As of April 2018, 17,167 individual swimmers that we are aware of have swum with B&B to date. As for the average number in summer and winter, this grows with each year too. Last summer it was common to have ~300 swimmers on any given day. As we move into winter we can expect an average attendance around 150 a day during the week with ~250 on the weekends, as you can see on our daily attendance graph, (link above). Different seasons sees swimmers share in different challenges, from swimming a specific number of swims over winter, with or without wetsuit, to be awarded a ‘sew-on’ badge to don their B&B Hoodie, or in summer to stretch out for a few more strokes, clocking up the kilometres and swimming so further than they imagined for yet another sew-on badge. It’s truly amazing what grown adults will do for a badge. You are most welcome to join in the fun and set up your own swim group using our software, be it open water, pool or both, on our webpage and swim virtually around the world too.